In today's date Many peopel came shirdi to see Lord Sai Baba.Shirdi is a small town.In Shirdi tour, sai devotees must visit the Khandoba Temple, where Sai Baba first came in shirdi, then Guru Sthan, where Sai Samadhi Mandir. The most importent places are in shirdi is Guru Sthan,Dwarkamai,Chavadi and Lendi Gardens within Shirdi town. Rent car shirdi : Sai Aaditya Tours and Travel provide tour packages in shirdi to Near Sightseeing Like as Nashik,Trimbkeshwar Joytirling Darshan. Aurangabad Grushneshwar Joytirling, Ajanta & Ellora caves,Mini Taj Mahal. Shirdi to Shani Shingnapur Tour. 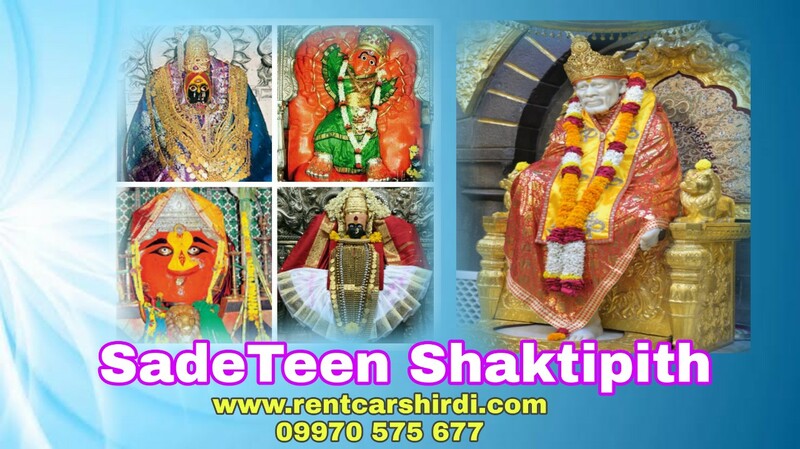 We provide Best offers on Shirdi tours & travel packages at Rentcarshirdi. Every one can customized Shirdi packages & get exciting deals for Shirdi holiday packages. How to Reach you shirdi? Rent car shirdi offer pickup and drop services from shirdi to your destination. We offer Five Jyotirling Darshan In Maharashtra. Bhimashankar Temple is a Jyotirlinga located Pune, The Distance from Shirdi to Bhimashankar 400km up and down one day program. Grishneshwar Temple is 12 Jyotirlinga of Lord Shiva. The Grishneshwar Jyotirlinga is located at a village called Verul, Aurangabad , Maharashtra. This Jyotirlinga located in Marathwada region. And the most importent feature of this temple is the vehicle of Lord Shiva 'Nandi Bail' is in the back of the temple instead of the front. 5. Parli Vaidyanath : This Jyotirling located at near Nanded, in Maharashtra. The Aundha Nagnath Jyotirlinga and Vaidyanath Jyotirlinga cover one trip distnce between two temple is 100km. Ashtavinayaka means eight Ganeshas refers to a pilgrimage to the 8 Ganesha temples in Maharashtra state. Shirdi to Ashtavinayaka Darshan 4 days program.